This year Gorm Larsen Nordic were invited to join the press days at salon de l'auto, Paris Motor Show 2018, here are our retail takeaways. LED displays & digital content! Brands are experimenting and getting really good at using monitors and LED displays to create great impressions and effects! In Paris there must have been more than 1 square km of LED display in action. Some brands as Renault build enormous LED display backdrops to get a soft and dynamic effect for their whole installation. 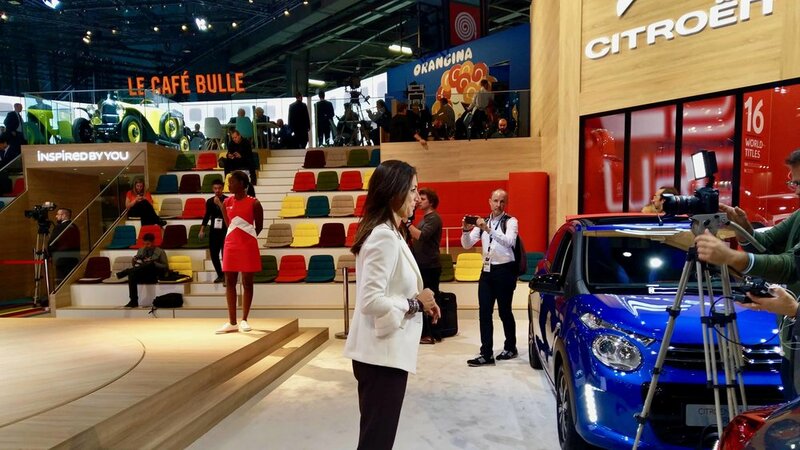 A smaller version was the two-sided backdrop used by Citroën as part of their scene and presentation area. Mercedes used monitors to present facts about their free-standing engine assortment and Smart vent all in and by using a LED floor in the whole booth. In normal mode this was used to display a slowly moving sober background pattern but when the DJ entered the Smart skylift DJ booth the floor went totally popping! 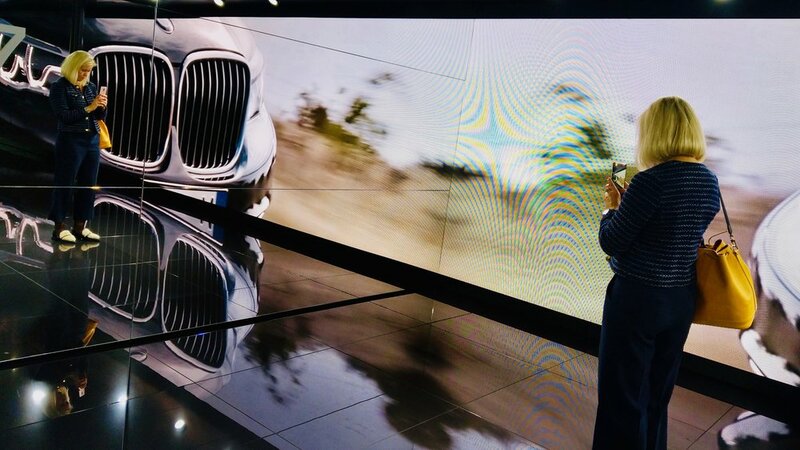 BMW had created a product focus area with a great digi-physical illusion combining LED display and mirrors. In Paris the LED display was not just a trend, it was such a natural ingredient in the modern brands way of displaying themselves that customers feel something is missing when it´s not there. The hardest thing to ACHIEVE will always make you stand out! The salon de l'auto was a great example of how brands with professional marketing teams create absolutely fantastic product displays. In a world where brands have resources to build endless installations it might seem impossible to stand out when all you want to do is make a memorable brand experience for your potential customers. First of all, in order to be relevant as a modern brand need to get your fundamentals in place. You will need your fair share of LED displays built into the walls, you must have a professional event crew that give your visitors professional service and I do recommend you to install a decent café or bar. On top of all of this, you will have to do the one thing that is the absolutely most scary for product manufacturers and that is to step out from the product comfort, believe in your brand concept and invite customers to experience your brand through a great emotional brand experience. First there was SEAT that had moved out of the traditional fair halls and instead built up their own place in a little square between the fail halls. There they dared to not display all their products but instead lead customers through an experience tunnel, through small experience rooms and ending up in an outside lounge with a merchandise decorated bar. The great environment and atmosphere created here made everyone just want to stay. In the middle of this lounge area SEAT´s newest cars was placed, it´s presence was not pushy at all so everyone checked them out with great interest and under relaxed conditions. 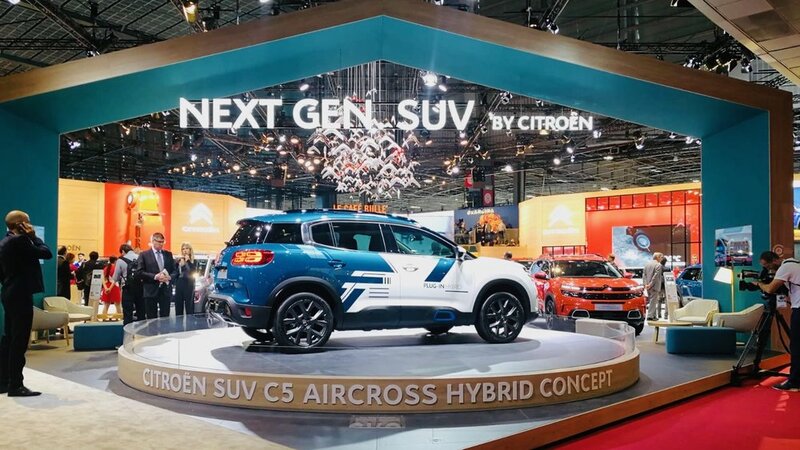 Second and absolutely best performing stand at the Paris Motor Show 2018 was Citroën. Their concept and setup really came alive through the use of their playful and warm brand color scheme. Their installation was designed to reflect the brand value comfort with soft fabrics everywhere, lot´s of cozy places to hang out and when in need of a refreshment you just head for the elevated Le Café Bulle where you enjoy home baked cake and a glas of Champagne while you surrounded by a bunch of happy people look out over the Citroën world. It´s exactly that emotional brand connection you want your customers to experience because USPs are soon forgotten while great experiences stay! For a 3D video of how the Citroën world was designed, click here.